If I can go to Korea, what I want to do there? 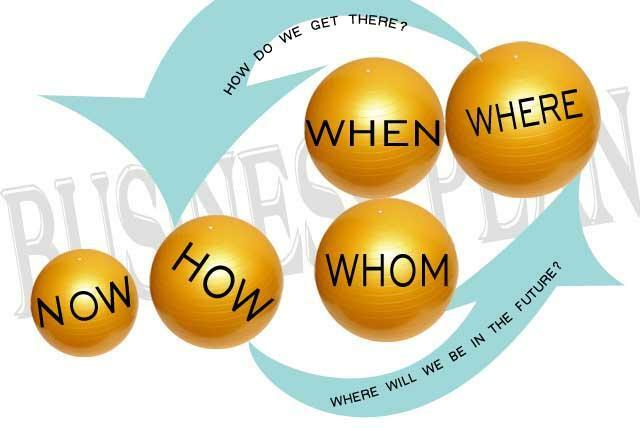 I often ask myself. Once I see a lot about Korea through drama, sitcom and film, heard happy Korean pop songs (e.g Gangnam Style), also read a lot about tourist destinations in Korea, I come to a conclusion. There are so many beautiful places, so many things I want to see, so many foods I want to eat, so many things I want to buy (and so many handsome actors I want to meet *blushing*). But most of all, I like to explore Gyeongju by cycling in Korea!. That’s my number one priority. 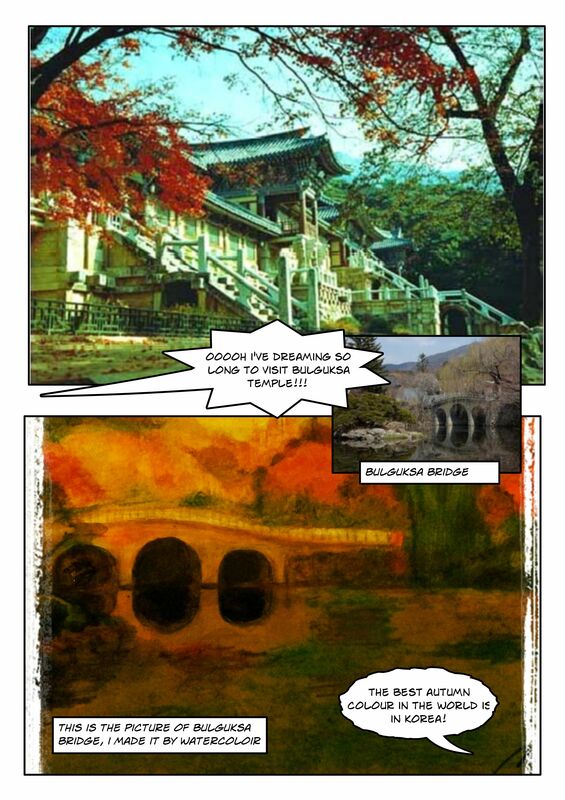 I really want to visit BULGUKSA TEMPLE! 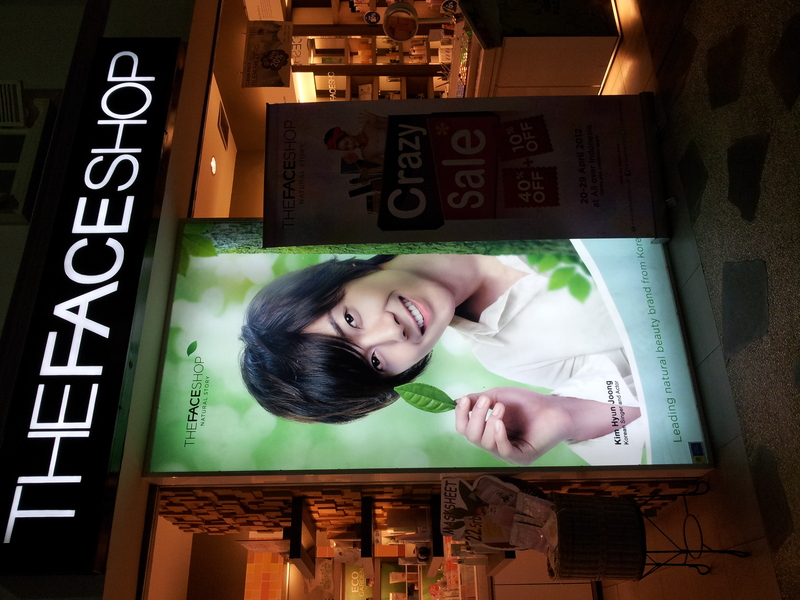 My dear God, Father, Mother, Holy Ghost, all my ancients, and Kim Hyung Joong oppa, and Lee Min Hoo too! Please help me, I really want to go to Korea! Yes Korea, the land of the morning calm! In the name of all holy things, good and pure in this world, for the good of my soul at a later date, please answer my pray! And here is my story and plan. Why cycling? Is that a plain and simple thing to do? Yes indeed, but cycling in Korea would be extraordinary. Because, I want to cycling in the ancient city part of Gyeongju. 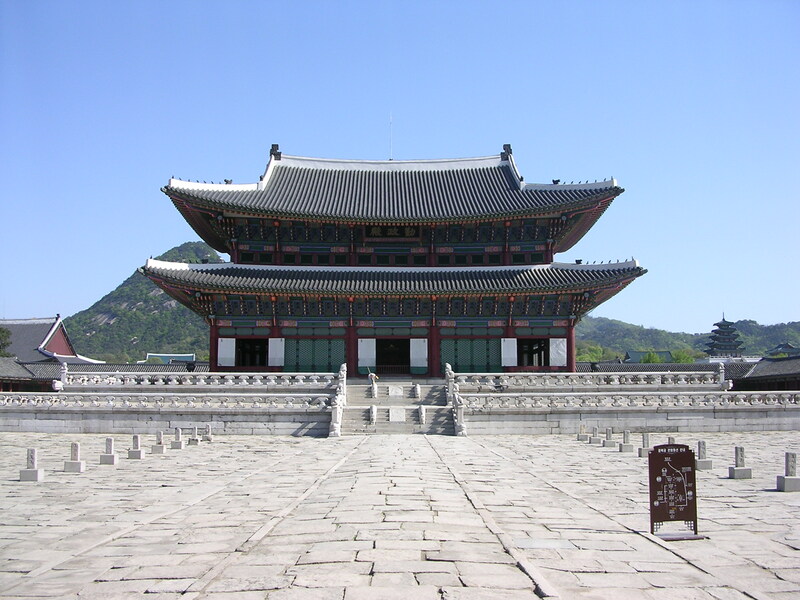 Gyeongju was the capital of the Silla Kingdom for a thousands year. So, it is very very great, right? Moreover, cycling is one of the greenest and cheapest methods of travel. 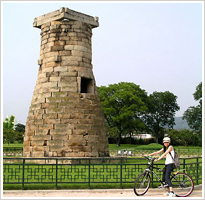 Get on your bike and reap the environmental and health benefits of cycling, and for the best part, in Gyeongju you can also take a lots of incredible pictures of many historical sites and by then also get fresh air by cycling around. Get multiple benefit by rejuvenate our body and soul, from getting fresh air and from seeing the beautiful scenery around there. 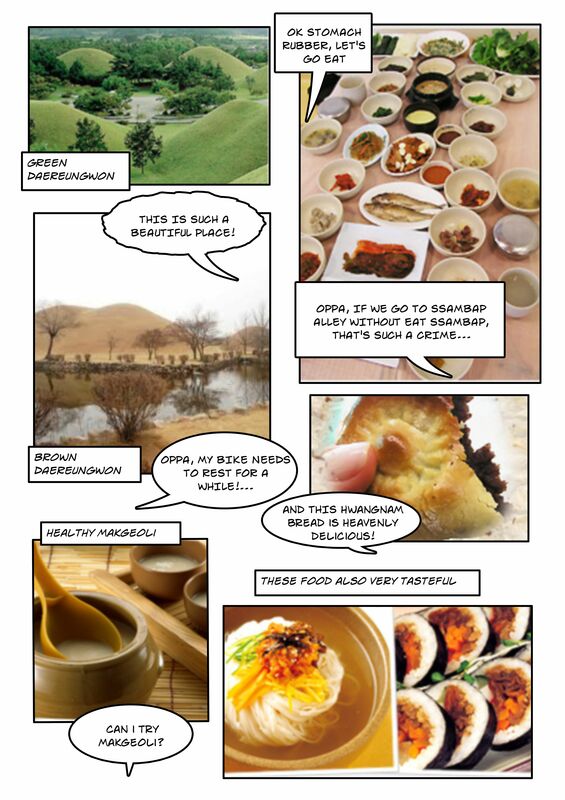 First by cycling in Gyeongju, I would like to go and enjoy specialties in Ssambap Alley, which is located close to Daereung-won Tumuli Park and Cheomseongdae Observatory. Ssambab is soft rice and eaten with sauce wrapped by different kinds of vegetables and lettuce. 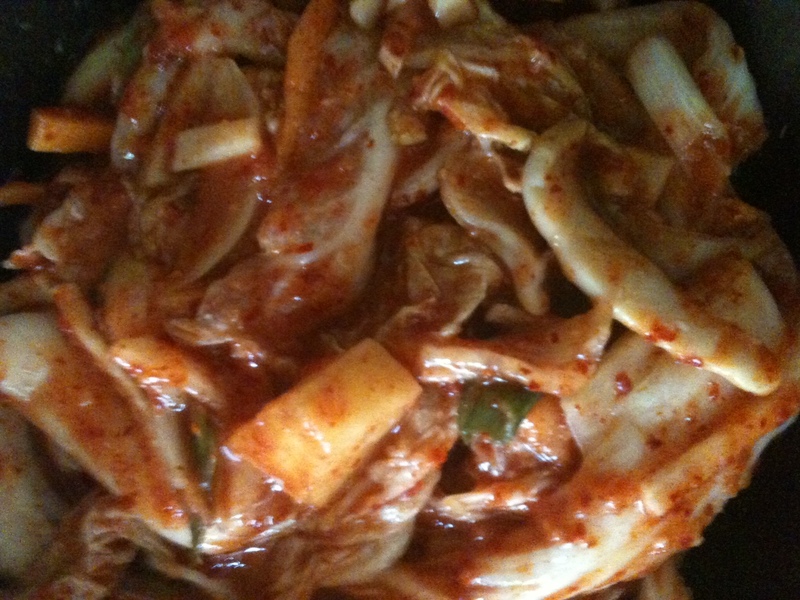 Also enjoy the banchan, various kinds of side dish, as a supplementary food Ssambab. It is important, I need energy to cycling around, so I put eating as the first thing to do in order. Tumuli park (known as Daereungwon in Korean) has more than 20 large and small tombs from the Silla period and has been designated Historic site #175. The tombs are presumed to be those of kings and court officials. The dimensions of the tombs vary with heights range from less than 1 meter to 23 meters. Most of them are earthen and mound-shaped. Very exhilarate to see there by cycling around. Now I want to tell you about Gyeongju. 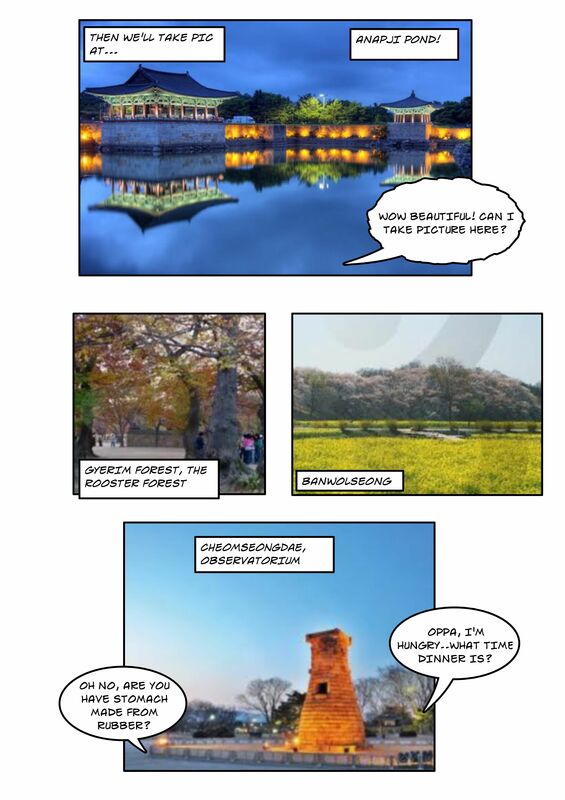 What are interesting facts about Gyeongju? Gyeongju was the capital of the Silla Kingdom in the year 57 BC – 935 AD. It is located on the coast of the East Sea in South Korea. 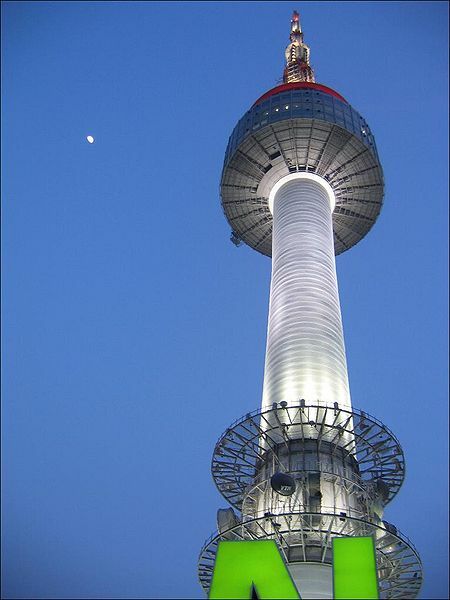 The distance is about 370 km from the South Korea capital, Seoul. In the past Silla kingdom standing on the 1st century AD, and Silla was the ruler of almost the entire Korean peninsula. Prosperity and greatness of the kingdom of Silla spread far to another countries, even to Persia, based on the historical record of the 9th century. Gyeongju has the meaning of the word itself literally as “congratulation city”. Even after death, I will never cease to protect Silla. After I die, burn my body and spread my ashes cremation on a rock in the East Sea so I could thwart the Japanese attack on our country. After my death, I will become a dragon and protection to Silla will never stops. The place where King Munmu or spread his ashes buried in the East Sea is called the Underwater Tomb of King Munmu. Rocks just off the beach in the fall is very famous for its beauty. Not only the place where King Munmu interred known for beauty, Gyeongju attract a lot of tourists who are interested in Korean history and culture, especially the historical relics of the Silla kingdom, and a beautiful and distinctive architecture of the Joseon Dynasty. 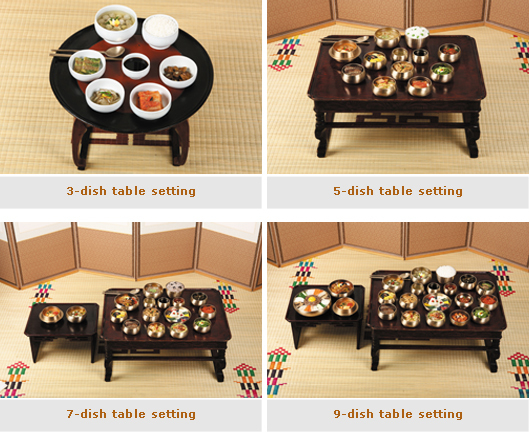 Gyeongju National Museum, has recorded a collection of 16,333 artifacts. Gyeongju is a place called ‘Museum without Walls’. So many historic relics there spreading all over the city. Silla kings burial ancient form of Tumuli Park, tombs shaped hillock overgrown grass .From Daerung-won we could come to Cheongseongdae Observatory, an observation tower built in the era star whose reign of Queen Seondeok is between 632 AD to 647 AD, then cycling trip up to Gyerim Forest, an ancient forest with old zelkova trees and willow forest, is known as the Roosters Forest. The ancient forest where a child was found in a gold box and accompanied by a rooster, the child was adopted by the king and given the name Kim Alji , who became the ancestors in Gyeongju, the Kim clan. Happy cycling continues to Seokbinggo Ice Storage House ice storage building which was established in 1738 in the reign of Joseon Dynasty. Around this palace there Balwolseong Archery Fun activities – we could learn archery with approximately 10 minutes, participants can try their own ten arrows a shot. Further cycling towards Anapji Pond, a very picturesque with buildings and a pond that was built to resemble the sea as though in a limited area. Anapji Pond has made it the object image which is very famous for its incredible beauty.This pool was built in the reign of King Munmu in 632, located at the northeast end of the site Balwolseong palace and in the city of Gyeongju. Bike adventure continues to the Gyeongju National Museum which is not far from Anapji Pond, as we could took a break and look around. Cycling continues to the famous Hwangnyongsa Temple Site with stories of sacrifice and the place of execution Ichadon, in his attempt for Buddhist to be accepted by the kingdom. The journey continues to Bunhwangsa Temple which was built in the reign of Queen Seondeok, buildings made of andesite stone shaped like a brick, is listed as National Treasure No. 30. After that, a cycling trip ends in the downtown area of ​​Gyeongju.Trips in the afternoon allows attractions can be seen in the beauty of twilight and streetlights installed there. The route of cycling can be change in order, because many sites located in the same area. Back to the hotel for rest, I would not forget to buy local specialty snacks , ie Hwangnamppang, Gyeongjuppang, or Chalborippang. Hwangnamppang and Gyeongjuppang snack of bread is very interesting because it contains red beans inside, and Chalborippang feels like sponge cake and it would be very soft in the mouth. 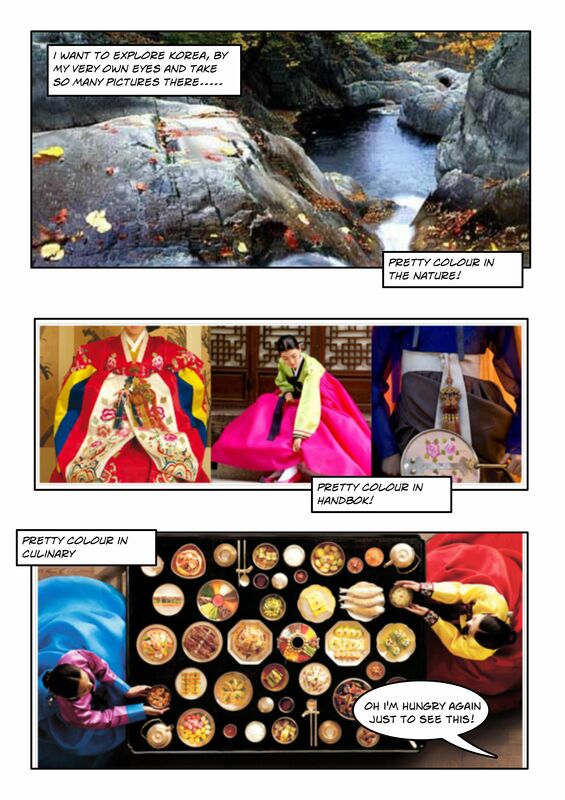 In October, Korea would be incredibly astonishingly beautiful by the colour of the autumn. Especially in Bulguksa Temple which is number one the most visit in Gyeongju. Bulguksa is a very very very beautiful place. 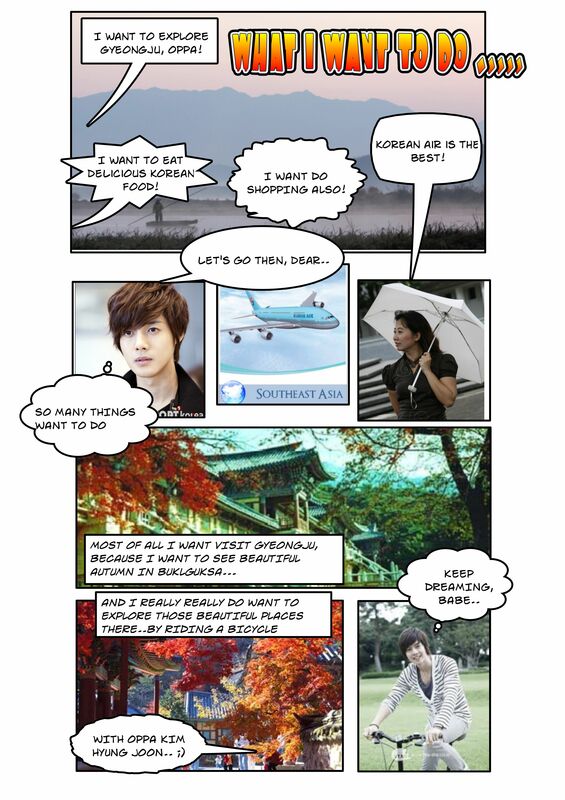 Many postcards, paintings, and postal stamps are picturing the beauty of Bulguksa. I DO WANT TO GO THERE. Oh, please God be kind and good to me! I would be regret if I have not ever been in Korea for just once before I die, especially in autumn season. And especially in Bulguksa. But honestly, I would like to be there in any kind of seasons, winter, spring, or summer. 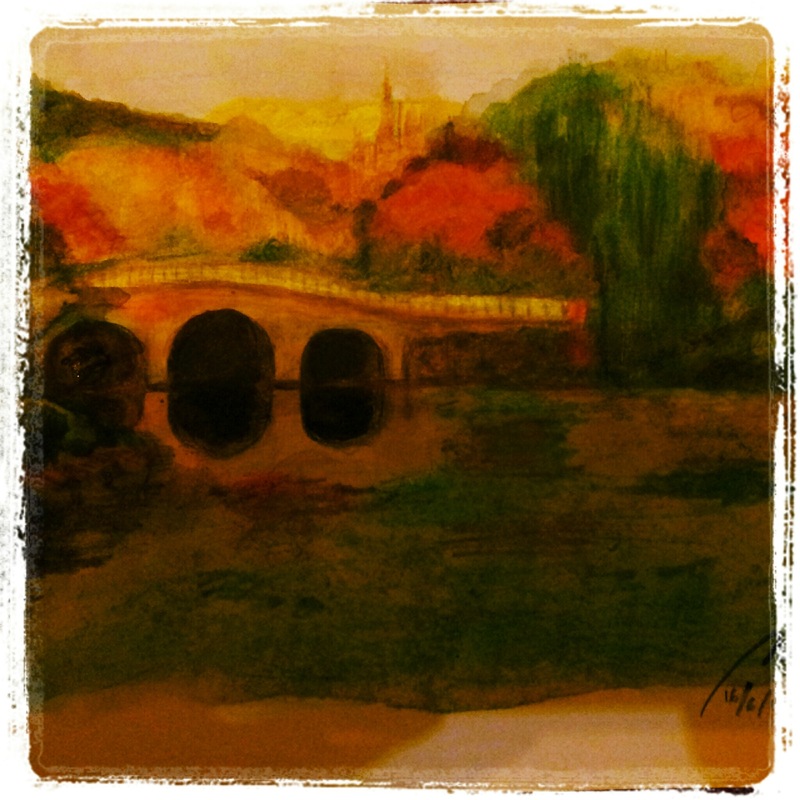 But autumn will be very very very special for me. I want to go there and see every beauty scenery with my very own eyes!. Back from Gyeongju, it would be very nice, of course, if I could go shopping and buy some of my favourite cosmetics and do facial treatments in Seoul. 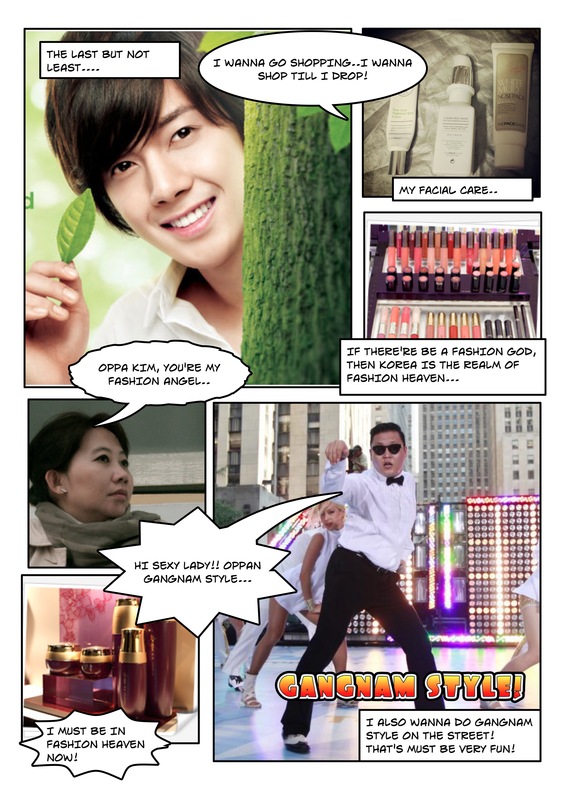 I really like the famous Faceshop cosmetics and other Korean cosmetics. I have been using Korean costmetics and has got incredible benefit from them. So if there any CRAZY SALE in Seoul, I want to shop till I drop!. I would like to buy famous BB cream for my beloved friends, and also buy many thing make up for fun and cute things from cosmetics shop. If we get tired after go around for shopping, we could refresh our body and have some indulging treatment in jjimjilbang. A Jjimjilbang (찜질방) is a large, gender-segregated public house, furnished with nice hot tubs, showers, Finnish-style saunas, and massage tables. We could also sleep over there. Most jjimjilbangs are open 24 hours. Also in Seoul, to satisfy the taste of culinary adventure in Korea, I wanted to visit and taste the various foods on the Gwangjang Market. Meals are plentiful there. Assorted sausages, various snacks, special food. There mungbean tasty pancakes known as bindaetteok, which I am eager to try. 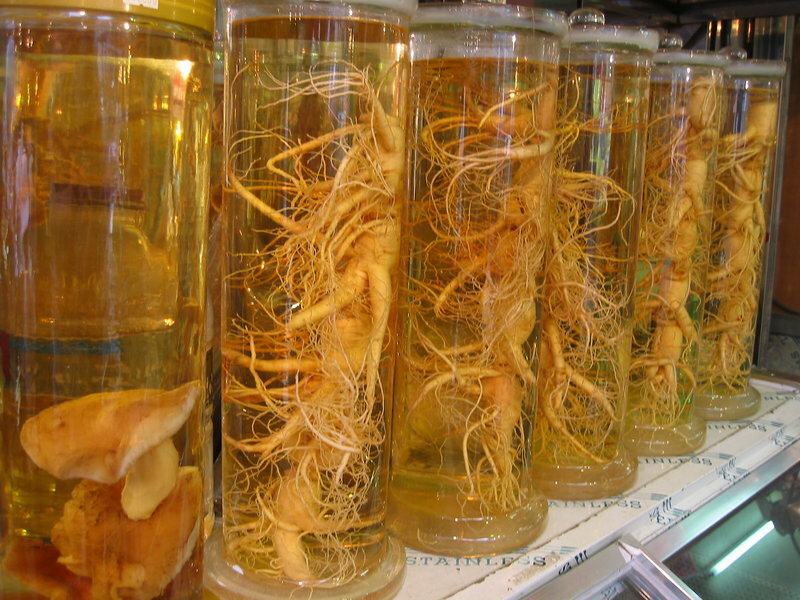 From the picture alone I’d imagine the fragrance and flavor. The Gwangjang Market is worth to visit and it was an overwhelming site of gastronomic beauty. The last but not least, I WANNA DO GANGNAM STYLE IN KOREA WITH OTHERS PARTICIPANTS!. On the street!. That will be great experience!. Ini gambar cat air yang saya buat. Sebuah jembatan di kolam yang ditepinya penuh dengan dedaunan pohon-pohon musim gugur. Bulguksa Temple di Gyeongju. Korea Selatan. Saya ingin sekali pergi kesana. Sehubungan dengan banyaknya keyword alias kata kunci dengan kata paket wisata dan tour Korea Selatan dan atau jalan-jalan hemat ke Korea Selatan yang masuk ke blog ini akhir-akhir ini, terus terang saya jadi engga tega kalau informasi di blog ini kurang relevan dengan apa yang dicari. Takutnya ada yang beneran nyari karena mau liburan kesana karena bentar lagi liburan anak sekolah. 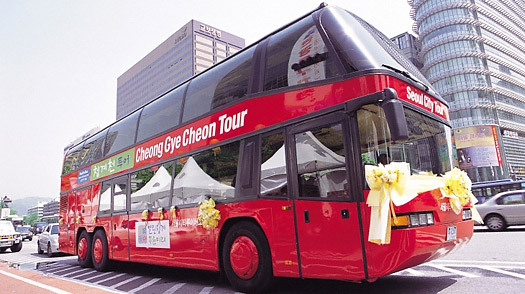 Duh saya ikutan dosa kalau menyesatkan, makanya dengan ini saya berikan rekomendasi agen tours and travel yang sekiranya bisa dijadikan agen wisata perjalanan Anda yang ingin berlibur ke Korea Selatan. Sebagai disclaimer, belum saya belum menang di program Touch Korea Tour yang diselenggarakan oleh KTO alias Korea Tourism Organization Indonesia. Menang atau kalah, saya tetap akan senang ngeblog kok. Jangan khawatir. Oh ya saya bukan pegawai dari agen wisata yang akan saya cantumkan dibawah ini. Saya juga bukan afiliasi ataupun penerima komisi dari perusahaan-perusahaan berikut. Saya murni memberi informasi saja ya. 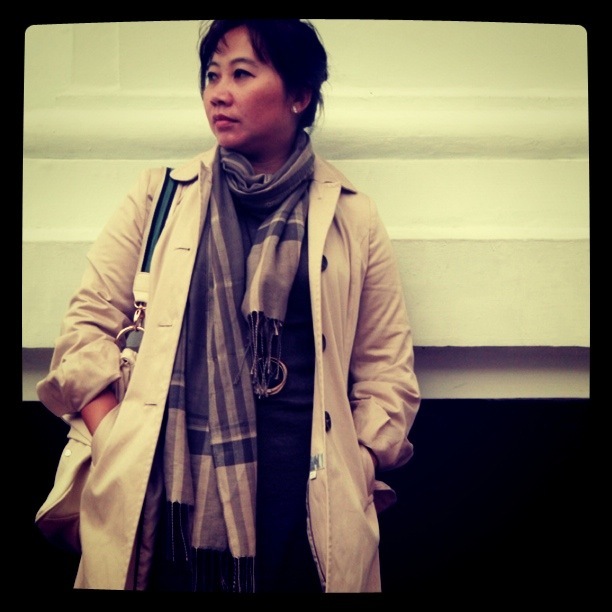 Perusahaan berikut saya rekomendasikan, karena beberapa teman saya, dan ibu saya beserta beberapa keluarga, juga saya pernah menggunakan jasa mereka untuk tours and travel ke beberapa negara. Dan secara global service dan kualitasnya memuaskan. Vaya Tour Anda dapat menemukan paket wisata Korea Selatan dengan rata-rata 8 hari berwisata di agen Vaya Tour ini. Tujuan tempat wisata macam-macam tergantung biaya dan itinerary serta hotel yang digunakan, Biaya paket tour mulai dari USD 1265 sampai dengan USD 1818 untuk paket Beautiful Korea, dengan maskapai penerbangan Garuda Indonesia atau SIngapore Airlines. Jangan khawatir rata-rata setiap paket menyertakan Nami Island dan Jeju Island kok buat yang ingin napak tilas pembuatan Drama Korea disana. Hint: Nami Island => Winter Sonata. Panorama Tours Indonesia Menawarkan paket Jeju Korea Cherry Blossom Tours dengan biaya pakate tour USD 1299. Anda dapat mengunjungi Jeju Island, Nami Island, Mount Sorak, dan Seoul selama 7 hari paket wisata. 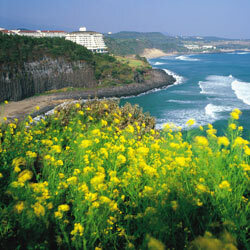 Ada juga paket Jeju Korea Wonderful dengan biaya paket tour USD 1700. Pesawat menggunakan Korean Air. Untuk paket Jeju Korea Wonderful ini jenisnya menikmati panorama yang indah disana. Kunjungan wisata meliputi Nanta Show, Yachting and Fishing, Teddy Bear Museum, Everland, dan Ice Gallery. Untuk lebih jelasnya, silahkan browsing itinerary di website tours and travel tersebut ya… salam! Dalam rangka mengikuti program penulisan blog mengenai Wisata Korea Selatan yang diselenggarakan oleh Korean Tourism Organization (Indonesia), saya memposting tulisan mengenai tiga benda yang ingin dibeli di Korea. Sebenarnya saya yakin akan beli sesuatu lebih dari tiga jenis kalau saya berwisata ke Korea. And I am very sure about this. Hallyu. Apakah arti kata Hallyu? Sebelum saya sampai pada topik sesuai judul di atas, saya akan bercerita sedikit tentang Hallyu ini. Nah, pernahkah Anda mendengar kata ini? Kata ini populer pada tahun 1999, dimana istilah Hallyu yang berarti Korean Wave ini dipublikasikan oleh media Cina yang terkesima atas cepatnya puplaritas entertainmen kebudayaan dan setelah album HOT dirilis di Cina demikian juga dengan film dan drama Korea yang sangat banyak digemari disana. 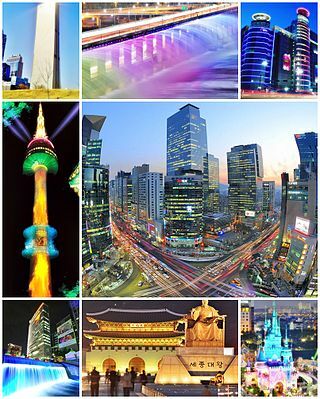 Hallyu sering diartikan sebagai Demam Korea atau Korean Wave – Gelombang Korea. K-Pop, atau musik Korean Pop, adalah bagian yang tak terpisahkan dari Hallyu ini. Fenomena Hallyu ini tidak terbatas pada wabah musik K-pop, saja tetapi juga film dan drama Korea, masakan Korea, barang elektronik, sampai dengan fashion. Kegemaran akan produk entertainmen Korea, memicu banyak masyarakat berbagai bangsa di dunia untuk mempelajari budaya dan bahasa Korea. Di Indonesia, Hallyu sangat terasa gelombangnya melalui K-Pop dan Drama Korea. 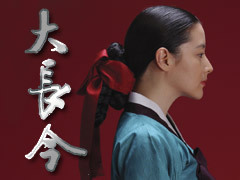 Suami saya saja adalah penggemar film Dae Jang Geum. Terbukti Hallyu tidak hanya melanda kaum muda, tapi meliputi tua muda, ABG, ABG palsu, bahkan anak-anak pun mengenal Korean Pop Culture ini. Saya saja tadi pagi memasak ditemani lagu Super Boy Junior. Suwer, ga boong. Menurut saya, menyukai dan mempelajari kebudayaan bangsa lain adalah hal yang sangat positif. Menyadarkan bagaimana kita adalah makhluk hidup sebagai manusia yang harus memiliki hubungan sosial yang baik antar individu, antar RT, RW, Kelurahan maupun sampai dengan antar bangsa. Membuat kita menyadari arti pentingnya untuk hidup berbangsa dan bernegara yang damai dan sejahtera di muka bumi ini. Namun yang penting pula kita sendiri untuk tidak kehilangan identitas sebagai bangsa Indonesia yang memiliki kebudayaan dan harga diri bangsanya sendiri pula. Demikian. Indah sekali ya pemikiran saya, bukankah begitu para pembaca? Setelah mengenal Hallyu, mari sekarang kita lanjutkan dengan pembahasan sesuai judul di atas. Andaikan saya pergi berwisata ke Korea Selatan…Tentu saja selain mengunjungi tempat-tempat wisata yang indah dan penuh sejarah disana, dan tentu saya pun ingin membeli cinderamata, atau sesuatu yang berguna dan bermanfaat, atau benda-benda lain yang menarik dan memiliki ciri khas Korea. Tapi sebelum kita membicarakan wisata Korea Selatan dan benda-benda yang menarik atau karya seni Korea yang memiliki sejarah ribuan tahun, ada baiknya kita membicarakan, sesuatu yang harus kita siapkan untuk berbelanja, yaitu…mata uang Korea Selatan…. ! Mata uang Korea Selatan disebut dengan Won. Kursnya pada saat blog ini ditulis, terhadap Rupiah adalah 1 KRW (Korean Won) adalah sebesar 8 .05 Rupiah. Sebagai referensi harga makanan semisal Kimbap (sushi ala Korea) adalah 2500 – 3000 Won, atau sekitar Rp 20.000,- s.d Rp 24.000,- . Kata Won sendiri berarti “round shape” dan terdiri dari 100 Jeon. Namun satuan Jeon sudah tidak digunakan untuk transaksi keuangan sehari-hari dan hanya muncul pada perhitungan kurs dengan mata uang asing. 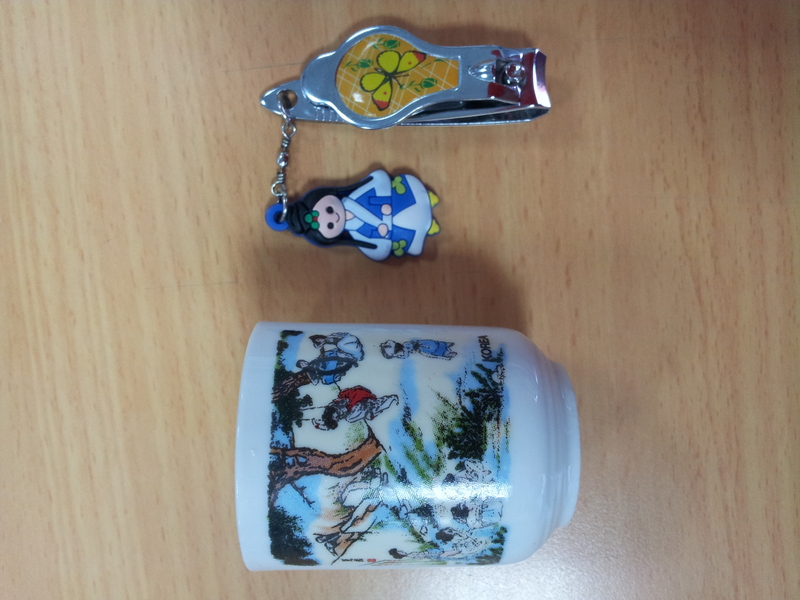 Traditional Korean Clothing. 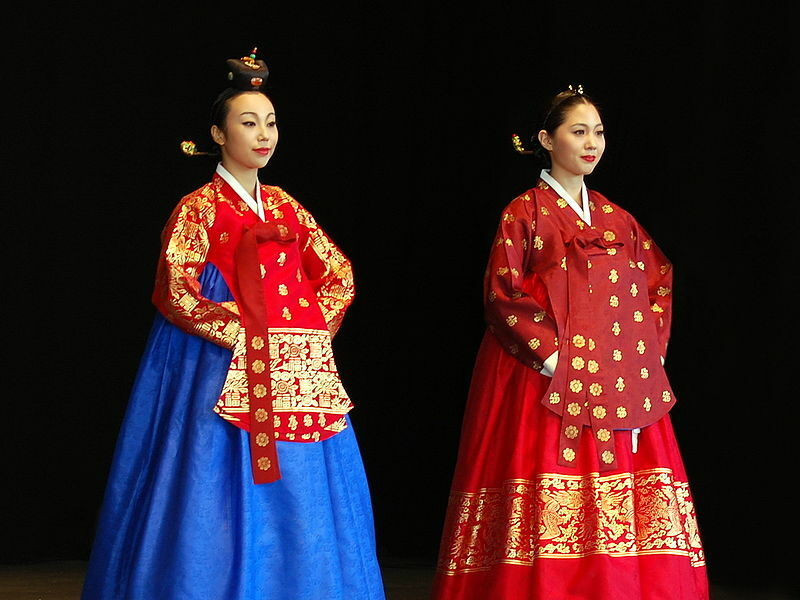 Dalam bahasa Korea Selatan disebut Hanbok, pakaian tradisional yang sekarang umum digunakan oleh bangsa Korea adalah mengikuti model dari Dinasti Joseon. Dalam kekuasaan Dinasti Joseon banyak hal yang membawa hal yang direpresentasikan dalam bangsa Korea yang telah modern saat ini, baik dalam hal etika, norma-norma budaya, pakaian adat dan bahkan bahasa Korea dan dialeknya berasal dari pemikiran dan pola yang dibentuk pada jaman Dinasti Joseon ini. Pakaian tradisional Korea ini sangat indah. Warnanya cerah dengan potongan yang elegan. Untuk pakaian tradisional wanita disebut dengan Chima Jeogori, terdiri dari rok panjang dan atasan. Sedangkan untuk pria disebut Baji Jeogori, Baji berarti celana. Membeli pakaian tradisional ini dapat dilakukan di Dongdaemun Market. Pasar Dongdaemun ini adalah pasar tradisional dan juga sebuah tempat shopping center yang lengkap, terletak di distrik Jongno-gu, Seoul, Korea Selatan. Di pasar Dongdaemun ini menjual berbagai macam pakaian, Hanbok, Food Court, Food Center, sepatu, dan berbagai benda-benda lain yang menarik. Dongdaemun berarti “a neighborhood for learning politeness”, nama yang sangat berkarakter menurut saya. 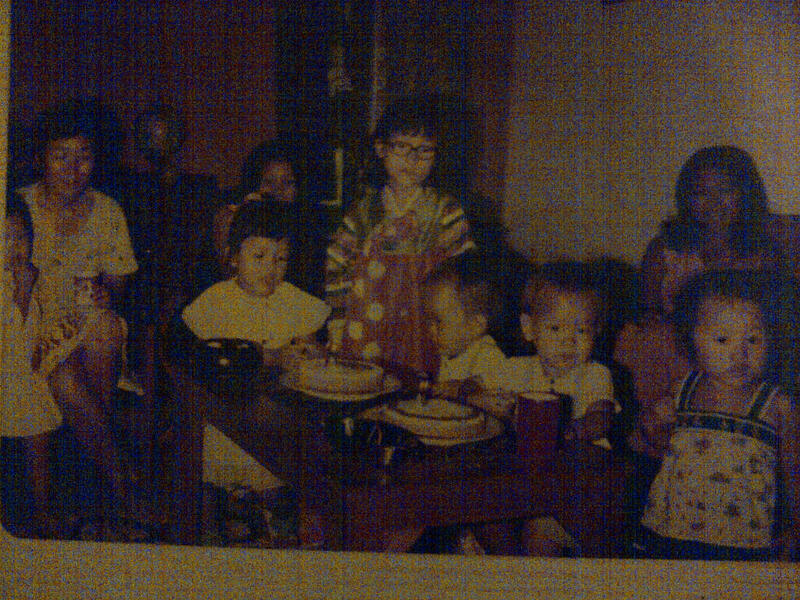 Adapun saya sendiri, apabila karena satu dan lain hal tidak kesampaian membeli Hanbok ini, bila dapat saya akan membeli sepasang boneka dengan pakaian Hanbok. Dan ini pun akan membuat saya sangat bahagia. Membeli hanbok itu sendiri ataupun boneka dengan pakaian tradisional Korea adalah representasi kekaguman saya akan keragaman budaya berbagai bangsa di dunia. Korean Pottery. Korean Pottery adalah karya seni yang dikagumi orang dari seluruh penjuru dunia. Ratu Elizabeth 2 dari Inggris pernah mengunjungi Insadong dan jatuh cinta setengah mati pada keindahan keramik Korea ini. Adapun Celadon adalah sebutan bagi warna keramik yang khusus dibuat dengan teknik tersendiri sehingga memiliki warna biru hijau yang indah, yang disebut dengan sebagai warna celadon. 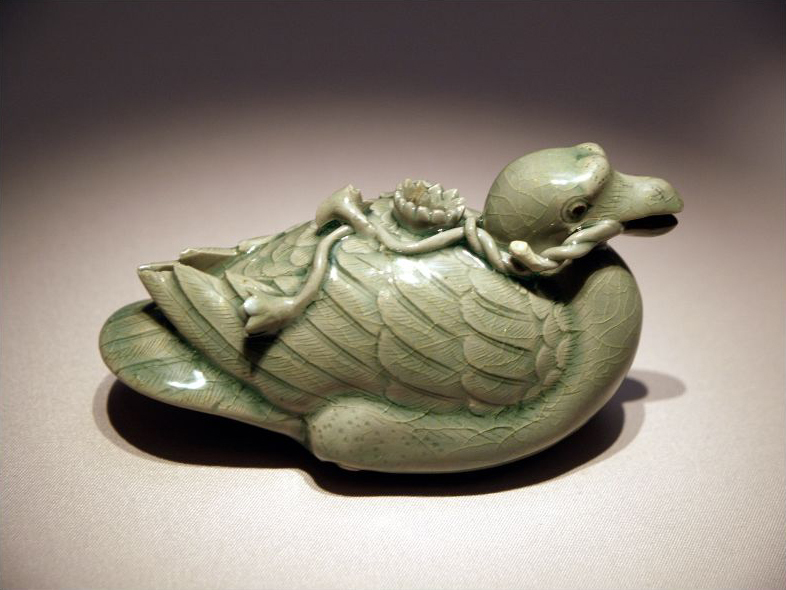 Celadon atau Goryeo Cheongja atau Keramik Hijau Goryeo adalah inovasi pada jaman Dinasti Goryeo di Korea pada tahun (935-1392). Menurut hikayat keramik Goryeo ini memiliki warna hijau tercantik di dunia. Adapun teknik pembuatan keramik Celadon Korea yang sangat terkenal dimana Korea mencapai puncak kejayaannya dalam teknik pembuatan celadon ini yaitu pembuatan desain yang disebut Sanggam. Keramik Korea ini memiliki nilai sejarah, nilai seni dan harga yang tinggi sehingga bahkan merupakan harta negara. Adapun Maebyeong adalah sejenis vas dengan bentuk yang disebut menyerupai bentuk wanita. Dimana Cheongja-unhak-sanggam-mun-maebyeong adalah sebuah jenis maebyeong yang sekarang tersimpan di museum seni di Seoul. Maebyong ini dikenal sebagai keramik hijau sanggam paling bermutu sehingga dijadikan sebagai Harta Nasional Korea Selatan Nomor 68. Kalau saya mah untuk membeli keramik antik sih jelas tidak sanggup. Lagipula dilarang membawa keluar keramik yang berusia lebih dari 50 tahun keluar dari Korea. Nah lho. Namun paling tidak bisa membeli barang satu piece keramik Korea, yang merupakan keramik dengan ciri khas Korea di pasar seni Korea akan sangat membahagiakan bagi saya. Soal keramik Korea ini jujur saja awal ketertarikan saya justru akibat menonton drama Korea. Yaitu Drama Boys Before Flower, drama ulangan Meteor Garden yang diproduksi oleh Korea. Kim Bum yang berperan sebagai So Yi Jeong adalah seorang master dalam pembuatan keramik. Dari film itu saya mengetahui bahwa seni pembuatan keramik adalah seni yang sangat dihargai di Korea. Demikian posting blog saya mengenai 3 jenis barang yang ingin saya beli di Korea. Sampai jumpa di posting blog saya berikutnya.